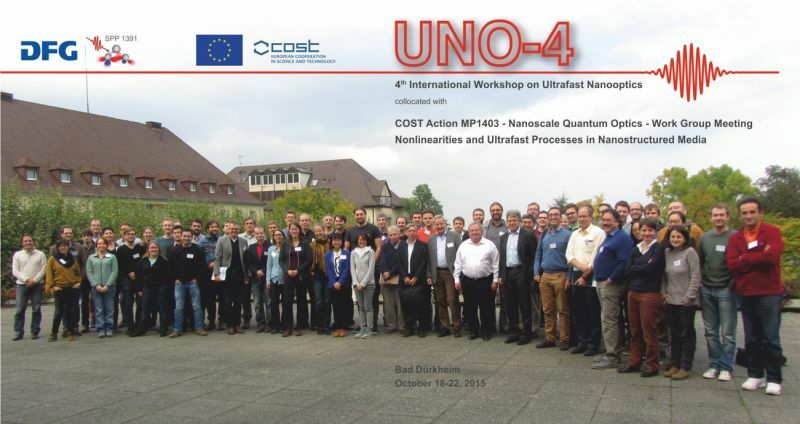 From October, 18-22, 2015, the "4th International Workshop on Ultrafast Nanooptics (UNO-4)” was held in Bad Dürkheim. October 21 and 22 were dedicated to the Work Group meeting on "Nonlinearities and ultrafast processes in nanostructured media" within the COST action MP1403 on "Nanoscale Quantum Opitcs". More information about this COST action is available here. An electronic version of the Book of Abstracts is available here.